Marc provides practical solutions for clients on matters relating to all aspects of employee benefits. His current focus is primarily on tax, securities, corporate and accounting issues related to executive and equity compensation arrangements. He works with publicly traded, private, non-profit and government clients in the design, implementation and operation of domestic and international executive nonqualified and supplemental deferred compensation plans, as well as equity-based and other long-term incentive compensation arrangements. Marc also assists clients in drafting and negotiating executive employment, retention, change in control and severance agreements and programs. He regularly advises clients regarding handling employee benefit matters in corporate mergers, acquisitions, divestitures, initial public offerings and other corporate transactions. Marc co-authored the 2018-2019 edition of the Treatise Executive Compensation for Emerging Growth Companies as part of the Emerging Growth Companies Series published by Thomson Reuters. He is frequently in legal trade publications. Recently, he was quoted in the Law360 article “TCJA Private Company Pay Change May Not Have Broad Appeal” covering the potential impediments for private companies to grant section 83(i) qualified equity grants which allow employees an election to defer federal income tax on qualifying stock options and restricted stock units. He also provided commentary in the article “6 Months In, Stock Option Deferral Rule Not Catching On” for the June 25, 2018, edition of Tax Notes. Prepared omnibus incentive plan, grant agreements, Form S-8, 10(a) prospectus and shareholder proposal for proxy of NASDAQ traded national discount retail store with over $9 billion in annual gross sales. Provided legal counsel and project management for restatement of employee stock purchase plan (“ESPP”) to expand eligibility to foreign subsidiaries of a Fortune 500 automotive retailer. Provided legal advice regarding non-qualified stock purchase plan for national grocery chain. Prepared elective account balance nonqualified deferred compensation plan (“DCP”) for NASDAQ traded electronics measurement company. Prepared supplemental executive retirement plan for banking industry CEO. Amended DCP of NYSE life sciences company to permit deferral of equity compensation awards. Prepared CD&A for regional financial institution. Provided legal advice re CD&A for NASDAQ traded fix-price discount retailer. Represented management shareholders in acquisition of, and co-investment in, aging & independent living solutions company. Provided legal advice and due diligence regarding employee benefit and executive compensation matters for national fixed-price discount retailer’s $10 billion acquisition of competitor national discount retailer. Provided legal advice and due diligence regarding employee benefits and executive compensation for international computer security company’s $220 million acquisition of mobile security device company. 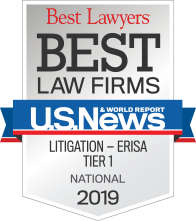 Provided legal advice and due diligence regarding employee benefits for global software and services company, with approximately $1.75 billion in sales, in acquisition of supplier of emulation platforms. Prepared determination letter application for pension plan of California non-profit hospital. Provided legal advice to national cosmetic chain regarding merger of 401(k) plan of acquired cosmetic manufacture. Prepared summary plan description and 10(a) prospectus for employer stock fund offered in 401(k) plan of NYSE traded global household products company. Prepared legal opinion for California city regarding potential liabilities for failure to properly withholding employment taxes and steps to correct failures under federal and state law. Provided legal advice regarding correction of late FICA withholding for payment under defined benefit nonqualified deferred compensation plan. 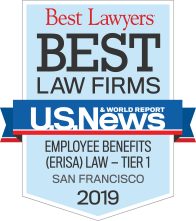 Provided legal advice regarding tax withholding and reporting of payments from nonqualified deferred compensation plan assigned to alternate payee under domestic relations order.